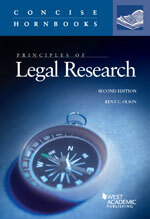 Adapted and updated for University of Virginia Law Library holdings from Kent C. Olson, Principles of Legal Research, 2d ed. (West Academic 2015). Many of the treatises listed here as available in Lexis or Westlaw are also on the library shelves but are no longer being updated in print. Check VIRGO for print holdings, but be aware that the information in the volumes is not fully up to date.